EA SPORTS is offering an exclusive FIFA 13 Ultimate Edition that will supply fans with 24 FIFA Ultimate Team gold packs to kick-start their season, and its most extensive global pre-order* incentive in the history of the FIFA franchise and you can pre-order yours TODAY with Sweetpatch TV! Fans that purchase the FIFA 13 Ultimate Edition will receive 24 FIFA Ultimate Team Gold Packs—one per week for 24 weeks with a total value of over £15 —to help build an ultimate team of football superstars. FIFA Ultimate Team brings the massive FIFA online community together with fans building, managing and competing with their ultimate football team from the world’s best players in FIFA 13. Each gold pack is a mix of 12 items, including players, contracts, stadiums, managers, staff, fitness, healing, balls, kits, and badges. Gold Packs consist of players rated 75+ in-game, and include one rare item, such as enhanced player attributes, longer contracts, and the most coveted players. 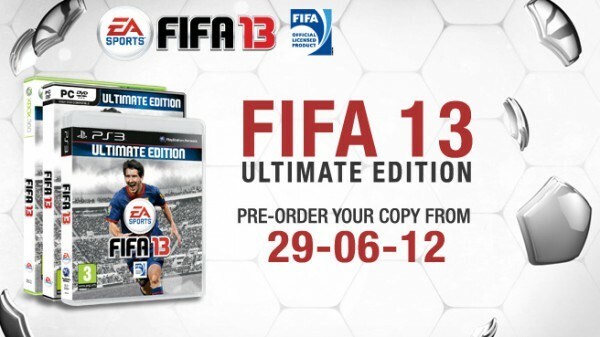 The FIFA 13 Ultimate Edition is available only through pre-order or on September 28 (because this has been announced as RELEASE DAY!). Reserve FIFA 13 from Sweetpatch.TV via Amazon (below) and receive 10,000 EA SPORTS Football Club Credits to redeem against in-game items such as special celebrations, Virtual Pro attribute boosts, extra matches in Head-to-Head Seasons mode, and more from the new EA SPORTS Football Club Catalogue to kick-start the season. EA SPORTS Football Club is the heartbeat of FIFA 13—play to earn XP & Credits, build your level and unlock new items in the catalogue. EA SPORTS Football Club delivers a live service all season connecting players to the real-world sport with fresh, new content based on real-world football events. Support your favourite club, and connect and compete with friends. Reserve FIFA 13 from GAME and receive the exclusive adidas All-Star Team comprised of 23 of the world’s top players, such as Lionel Messi, Nani, Karim Benzema and many others. The exclusive squad will feature special adidas kits that can be used in Online Pro Clubs. 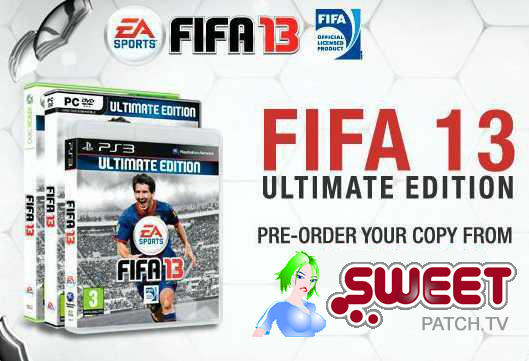 Be sure to use the appropriate link below where you can pre-order your copy of the exclusive FIFA 13 Ultimate Edition from here! 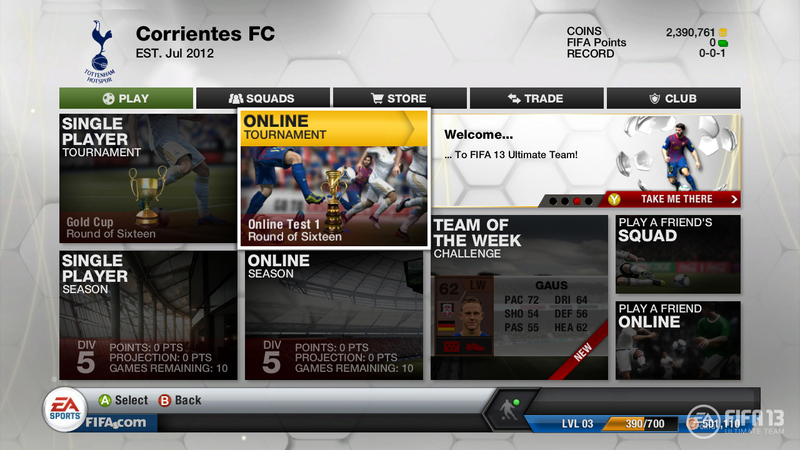 Pre-Order Your FIFA 13 Here!